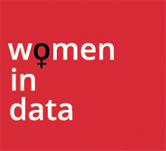 Women in Data UK and Hastings Direct are pleased to invite you to the Hilton London Bankside hotel for a technical presentation, insight into how to succeed and thrive in business and the opportunity to network with a wide range of data practitioners. Who should attend? All levels of data practitioner with an interest in how data works within insurance and data practioners with ambitions to build their careers in business. Where: Hilton London Bankside, Great Suffolk Street, Bankside, London. SE1 0UG.